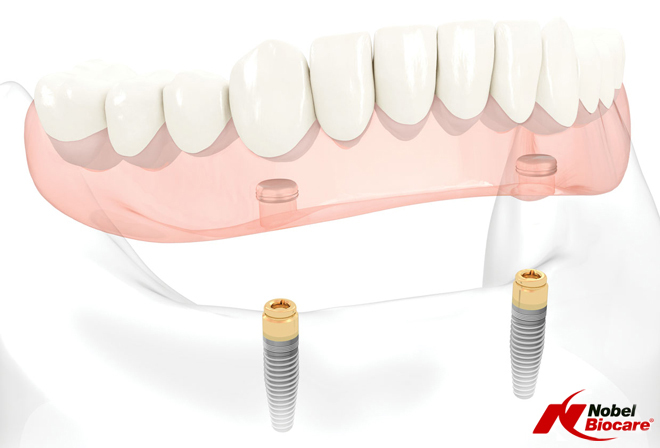 The LOCATOR Implant Attachment with patented pivoting technology is the premier system for implant-retained overdentures. According to recent studies, a two implant-retained, tissue-supported overdenture restoration is considered the new minimum standard of care for edentulous patients. More than two implants may also be placed for an implant-supported overdenture.